THE BOOK OF MORMON, winner of nine Tony Awards® including Best Musical, is back in Vancouver! 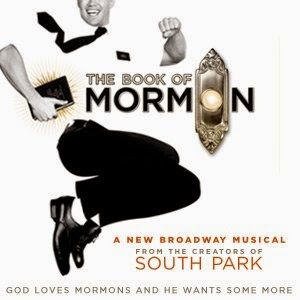 "The Book of Mormon has been on my list of musicals to see for quite some time. I love Broadway musicals and generally sing along to most of the famous broadway tunes. However, I have not watched the Book of Mormon before nor have I heard the music from it. I did hear that it's very raunchy, explicit, slightly offensive (depending on who you are), and despite all of this it's a MUST see. When the opportunity arose for me to see the Book of Mormon, I did not know what to expect. Most of the time, I'd read the summary of the musical online first, but this time I wanted to be completely surprised. It took all of one minute for me to be completely immersed with musical. Everyone was super energetic and expressive. Most of all, I felt completely engaged and connected to everything happening on stage. Although there were parts where I didn't catch what the actors or actresses said, it did not matter because every inch of their body was so expressive. Best of all, the humour was witty and had me laughing in stitches for most scenes and sometimes it seems like this is a comedy show mixed in with a musical. If this comes to town again, I'd definitely watch it again! Leave the kids at home though :)"
The Book of Mormon is musical not to be missed! It is currently playing at the Queen Elizabeth Theatre and only here for a limited two-week engagement through Sunday September 4, 2016! Make sure to catch it before it's gone! Get your tickets at http://vancouver.broadway.com/shows/book-mormon-baa. Photos provided courtesy of Broadway Across Canada. Disclosure: Tickets to the show were received from Broadway Across Canada free of charge. The opinions expressed in this post are entirely my own and have not been influenced in any other way. Extra! Extra! Read all about it: Disney's Newsies is busting a move in Vancouver! I never knew this but Newsies' story is based the real-life Newsboys Strike of 1899 in New York City! It's about a ragtag bunch of orphan and runaway "newsies" who stand up to powerful newspaper publishers when they raise distribution prices at the newsboys' expense. When the boys first came out, I found myself thinking if kids will know what paperboys are nowaways! When the Joseph Pulitzer, played by Steve Blanchard, said paper sales declining since the war, all I could think about was it kept declining and is almost dead now. Thanks to the Internet those boys would be working in tech instead today! But I digress. The overall story itself is still relevant today because it's a classic David versus Goliath story! Being up seated up close to the stage was great because we got to see the cast's expressions more clearly but we had to look up a lot. 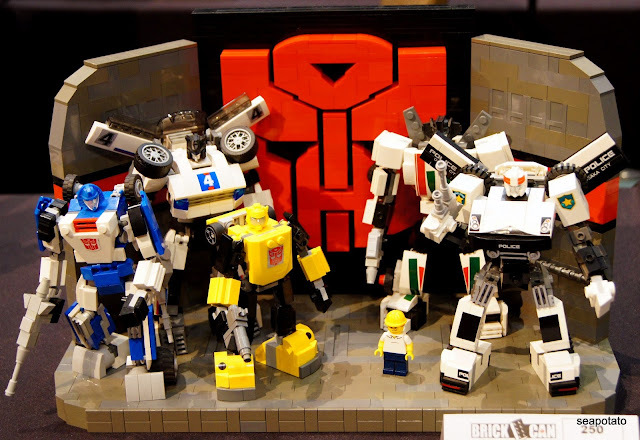 The set utilized a lot of vertical space. Though it wasn't an elaborate set it had depth and brought the streets and rooftops of 1966 New York alive. My favourite song is "Seize the Day". It's the most recognizable song in the set. Though all the songs are really high energy and I loved them all! The lead newsie, Jack Kelly, played by Joey Barreiro, has a strong set of pipes! All his songs were spot on. The little boy, Les, played by Turner Birthisel at the opening performance, was very cute and always stole the scene. He had very funny bits and always stole a laugh from the audience. Newsies was very enjoyable to watch. The dancing was very impressive and the singing and script always manages to keep a smile on my face. It's a great family musical! Don't forget to take a picture in the lobby before leaving the theatre! You can be the picture in the headliner and be famous! Disney's NEWSIES is here in Vancouver for one week only! Performances run from now through Sunday, July 10, 2016 at the Queen Elizabeth Theatre. Tickets are available through ticketmaster.ca or by calling 1-855-985-5000. Reservations for groups of ten or more are now being accepted by calling 1-800-889-8457. For more information, visit NewsiesTheMusical.com, Facebook.com/Newsies and Twitter.com/Newsies. The Vancouver engagement of NEWSIES is presented by arrangement with Broadway Across Canada and is a subscription offering of the 2016/2017 Series. Disclosure: Tickets to the show were received from Broadway Across Canada free of charge for review. The opinions expressed in this post are entirely my own and have not been influenced in any other way. Get ready for Disney's NEWSIES! They delivered the papers, until they made the headlines...Direct from Broadway comes NEWSIES, the smash-hit, crowd-pleasing new musical from Disney. Winner of the 2012 Tony Awards® for Best Score and Best Choreography, NEWSIES has audiences and critics alike calling it “A MUSICAL WORTH SINGING ABOUT!” (The New York Times). Filled with one heart-pounding number after another, it’s a high-energy explosion of song and dance you just don’t want to miss. Now is the time to seize the day with NEWSIES, playing July 5 - 10, 2016 at the Queen Elizabeth Theatre in Vancouver. Presale passcode: 5FANSIES THIS PRE-SALE CODE WILL BE LIVE AS OF FRIDAY, MAY 6 @ 10AM. ALL SALES FINAL. No exchanges or refunds. Blackout dates and other restrictions may apply. Standard Ticketmaster service fees apply to online or phone orders. Dates, times, prices, and cast subject to change without notice. Offer may be revoked without notice. Limit 9 tickets per person per 7 day period. All prices are in CAD and include a $3.00 CIF. Tickets must be purchased by May 8, 2016. (Vancouver, British Columbia) - Disney Theatrical Productions and Broadway Across Canada announced today that tickets for the highly anticipated Vancouver engagement of Disney’s NEWSIES will go on sale to the public on Monday May 9 at 10:00 am. The Tony® Award-winning production will begin performances at the Queen Elizabeth Theatre on Tuesday July 5 for a limited engagement of one week through Sunday July 10. 7:30 pm, and Sunday at 1:00 pm and 6:30 pm. Beginning Monday May 9, tickets will be available at Ticketmaster.ca or by calling 1.855.985.5000. Orders for groups of ten (10) or more may be placed by calling 1.800.889.8457. Advance tickets are available through Front Of The Line ® by American Express May 2 – 4, 2016. Ticket buyers are reminded that Ticketmaster Canada and Broadway Across Canada are the only official retail ticket outlets for all performances. Ticket buyers who purchase tickets from a ticket broker or any third party should be aware that Queen Elizabeth Theatre is unable to reprint or replace lost or stolen tickets and is unable to contact patrons with information regarding time changes or other pertinent updates regarding the performance. BROADWAY ACROSS CANADA and Broadway Across America is part of the Key Brand Entertainment family of companies which includes Broadway.com and is operated by John Gore (Owner & CEO). BAA is the foremost presenter of first-class touring musicals and plays in North America, operating in 40 markets. As a leading Broadway producer, BAA is dedicated to the development and production of new and diverse theatre. Current/upcoming productions include Beautiful, Betrayal, Bullets Over Broadway, Little Miss Sunshine, Million Dollar Quartet and Pippin. Past productions include Hairspray, How to Succeed in Business Without Really Trying, Memphis, Promises, Promises, The Producers and War Horse. Broadway.com is the premier theater website for news, exclusive content and ticket sales. For more information please visit BroadwayAcrossCanada.ca and Broadway.com. Thousands of LEGO fans flocked to RiverRock Casino Hotel this past week to attend BrickCan, the inaugural LEGO convention held in Richmond. 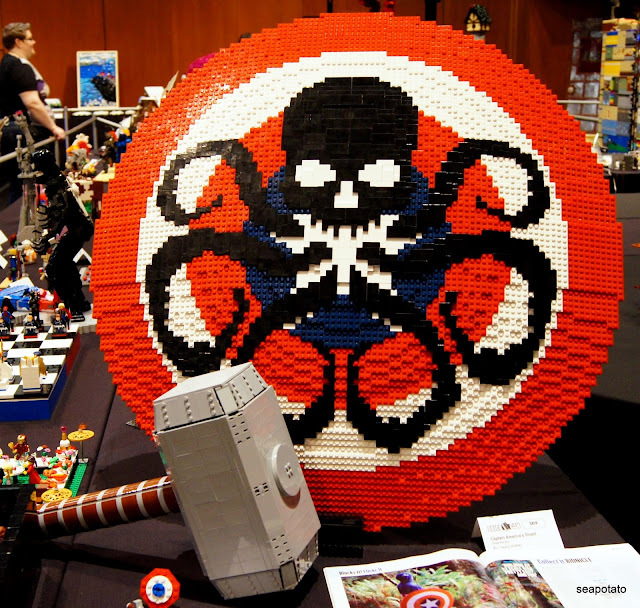 The four-day event featured keynote talks, games and an exhibit full of astounding LEGO models. 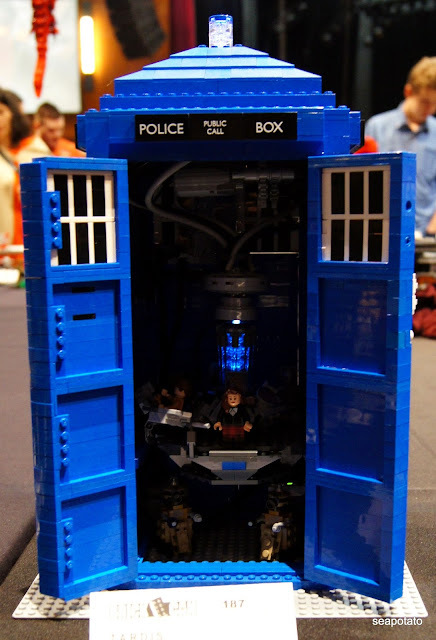 The first two days were geared towards AFOLs (adult fan of LEGO) while the weekend was open to families who enjoy viewing LEGO builds or were looking to buy LEGO sets. 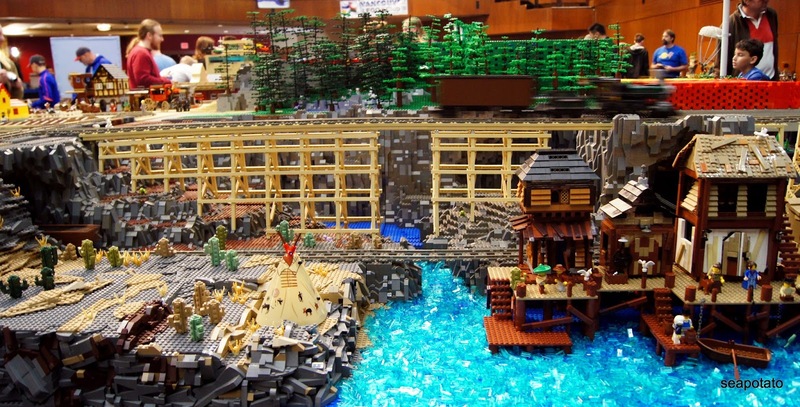 Vendors had plenty of LEGO for purchase, as well as LEGO-related art, jewelry and clothing. Half the fun while browsing the vendor tables was digging though the minifigure bins, trying to look for that elusive figure needed to complete your own collection. BrickCan was a sold-out success; make sure to sign up for updates so you don’t miss out on BrickCan 2017! 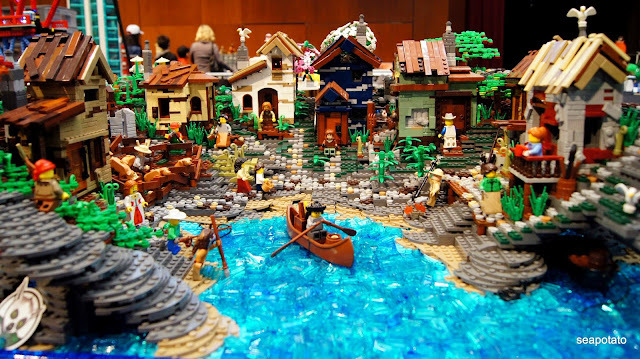 Visit Seapotato's blog over at Savvy Shopping, Deals and Reviews for more photos and details about BrickCan 2016. Avocados From Mexico's Avoshowdown cooking competition returned last Sunday, April 10th, at the Northwest Culinary Academy on Main Street. This year saw 16 amature chefs, home cooks and bakers battle it out, trying to impress judges with their creations featuring Avocados from Mexico. While the competitors put their finishing touches on their dishes, the team at Northwest Culinary Academy went around with some delicious appetizers, which showcased the versatility of Avocados from Mexico. We were first asked why we love avocados so much? Because they taste good AND are full of nutrients that are good for your health! Avocados contain the good type of fat that our bodies need. That is the whole point of this competition - to spread the word about how good Avocados from Mexico are in terms of health benefits, taste, versatility and availability. Did you know that 90% of the avocados in Canada are imported from Mexico? They are also the only avocado that are available year round - pretty important when you love to eat them so much like me! We were then let go to mingle and try the competitors' dishes. The competitors really stepped up their game this year! Many of the dishes prepared were like they were made by professional chefs! Meanwhile, the judges hid in the back of the establishment, blind tasting the entrants' creations. After the judges scurried away, Chef Jonathan Kinney, from the Northwest Culinary Academy of Vancouver, showed us how to make an Avocado Parfait. One trick he taught us was how to cut an avocado. Apparently, cutting an avocado length-wise is an American thing. The proper way to cut an avcodo is across width-wise, then squish out the seed. I tried it last night and it is a game changer! It's so easy! The parfait is easy to make with pineapple, mango, strawberry, granola, avocado and yogurt. We were then sent off to make our own avocado parfaits. Here is @ch0c0tam and her sister making the parfait. She's so creative with the strawberry garnish on the rim! Next demo was from Justin Darnes of Drinks Undressed, who unveiled a special cocktail created just for this event the Persea Fumée, made from smoked avocado purée. Persea is the Latin name of the avocado plant. Justin shared his trick to making avocados ripen faster: wrapping them up with a bunch of bananas! Bananas are also a good complement to avocados because of their creaminess. This drink was so tasty! I wish I could have more! Finally, the judging was done and it was time to unveil the champions of the AvoShowdown of 2016! The Cannoli Santo dessert made by Caitlin Connolly, who also happens to be a student at the Northwest Culinary Academy, won the grand prize: a trip to Mexico courtesy of Club Med! I guess they are doing something right because last year's competition was won by someone who studied there, too! This Avocado Tuna Roll was amazing and had a lot of flavour! Alex Dodge of Truffles Fine Foods took home second prize - a Kitchen Aid blender. 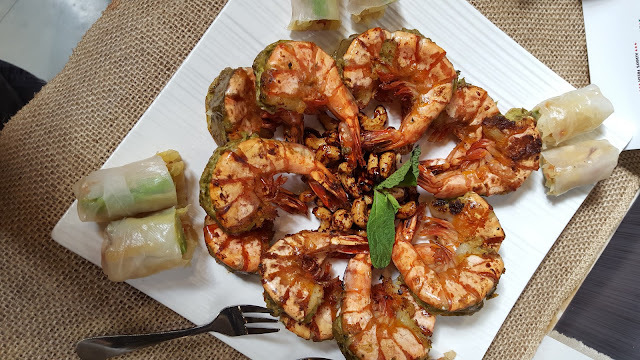 These delicious Siamese style tiger prawns stuffed with avocado were made by Priyanka Deshmkh, which awarded her the 2nd runner-up prize. Avocado Jewel Box made by Angel Chu (@alsotheresthis). This beautiful dish was voted "Foodie's Choice" by the attendees! All the winners of the 2nd annual Avoshowdown presented by Avocados from Mexico! Congratulations! Chinese Bites has started a new VIP Program this year and I invited to try out Firebird Cafe with Seapotato from Savvy Shopping, Deals & Reviews. Firebird Cafe is located in Continental Shopping Centre in Richmond. Easy to get to and plenty of free parking around. Inside the restaurant is very spacious with modern decor. We started our dinner at 6:30pm but it didn't get busy until around 7:30-8pm. This restaurant seems to attract the later crowd. Looking at the menu, Firebird Cafe serves a mixture of Asian and Western cuisine. There's a sheet to mark off for custom fish noodle soups (like Bubble Waffle or Deer Garden). I love these types of menus! Everything is so customizable, I love it! And on the back there's option for a custom sizzling grill or custom steamed rice. We decided to order one of each from the custom menu and a few extra things to share. First up was the Ginko and Pepper Fish Soup with Egg Noodle. Of course, you get to choose the soup base, type of noodles, two toppings, and a drink with your order. It was what it was...very peppery! Most of us couldn't take the heat. But it was very good. Our friend E. loved it so much she drank all the soup! Most of our order came with a drink. I was having trouble deciding so I asked the waitress what she'd recommend. She said the Signature Milk Tea with Pearls is very popular so I gave it a try. It was pretty good. It's not too sweet. I think Chatime is still my favourite but it's not bad at Firebird Cafe. All of us agreed that the Baked Chicken Spaghetti in Meat Sauce was one of the best dishes of the night. The chicken was so tender and delicious, V. couldn't stop eating it! Seapotato ordered the Custom Sizzling Grill - Beef Shortrib and Chicken Wings, a side of fries and garlic sauce. The sizzling grill also comes with a soup of the day and a drink. A pretty good deal for $13.95, if you ask me. The chicken wings were mmmmm-mmmm-good. Nice and crispy. The shortrib was very tender. And the fries were the best! Costco style fries - very crisp on the outside. You can read more about what Seapotato thought about this dish on her blog. We also ordered a few appitizers - though they should be called side dishes because some of them came near the end of the meal. The Takoyaki while tasty, was a kind of a miss because of the inconsistent texture. Some of them were too gooey than it should be. They came on a bed of fried onions or noodles of some sort - very yummy when you eat it with the sauce the takoyaki was slathered in. Deep fried squid. They seem to like using tomatos as garnishes. These were also on a bed of fried onions. The squid was a miss for us because it could benefit with some additional seasoning. The batter should be a bit more flavoured but with the dipping sauce, it was better. The last item that came was the custom steamed rice with Free Range Chicken and Pork Liver and an added egg on top. We were unimpressed with the egg. It looks like it was microwaved so I'd skip that next time but the chicken was great! Again, Firebird Cafe seems to be good at making delicious chicken. I like how the rice was flavoured from the ingredients chosen. Lovely rice! Overall, Firebird Cafe was ok. Some things were obviously better than others like the fish noodle soup, sizzling grill and I guess anything chicken. haha. It's another option in Richmond for those who like HK cafe style food. Disclosure: The meal was provided free of charge by the Firebird Cafe and ChineseBites but the opinions expressed in this post are entirely my own and have not been influenced in any other way.